When talking about car scams, the first thing that should be mentioned is a shady car dealer. However, they are not the only ones to make a quick buck at your expense. If you thought scams happen only while buying a car, well, no! On the other hand, sellers can be common targets for scams too! Before you place an ad to sell a used car, you’ll need to be aware of common scams and learn how to avoid them. 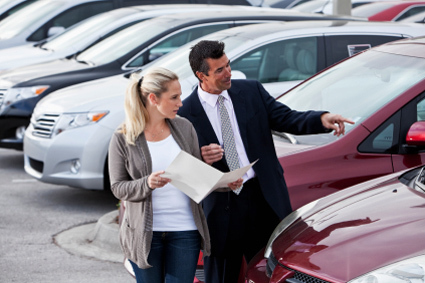 Selling your car online is a great way to maximize your chances of getting a profitable deal. But you need to exert sufficient precaution against prospective frauds. 1. One should start the journey towards a foolproof car sale by conducting a thorough research of what the market prices are. Also if possible, find out the average price of the most recent sales. Once you’re done with the research bit, you can be your slid ground, and more armed against the buyers’ attempts to convince you to lower the price. You have to be brutally honest in evaluating the condition of your car before fixing a price. 2. Most buyers tend to write you a cheque while purchasing your car. In that case, try to contact the bank, and with the help of your buyer, get them to confirm that the necessary funds are available. Otherwise, you might be in for a rude shock to find that the cheque they deposited bounced. However, it’s wiser to ask the buyer for cash or an online transfer. 3. While it is alright is buyers want to take your car for a spin before deciding to make the purchase, but never allow solo test drives. No matter how respectable they look or even if they offer you their driving license, don’t give in to it. 4. Say no to overpayment. Yes, you need to be cautious of this tactic, especially if it’s an online car deal. Sometimes, buyers living in another city will ask you if they can send you a cheque, over and above the price you’ve set. They’ll say it’s so that you can wire them the extra funds, and they’ll arrange for someone to come and pick u the car. Though it might come across as pretty reasonable so far, the catch behind this is that they’ll try to get you to send the money before the cheque clears, after which the cheque, in all likelihood, will bounce. If you fall for this, you’re actually paying them to send you a dud cheque! It’s much better to not even reply to these requests. Must Read : Beware of being cheated at petrol pumps! Also, additional precautions involve never revealing any personal information, such as, social security numbers, bank account information, credit card numbers, etc. This may be an attempt at identity theft. Do verify checks before transferring the title. Also, make sure you keep a copy of everything that’s signed. Last but not the least, more often than not, if you think it’s a scam, it probably is. So, use your best judgment to avoid being a victim!